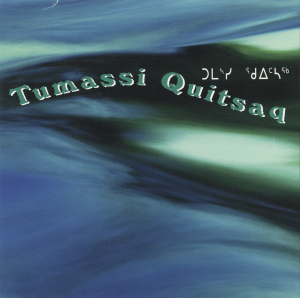 Tumassi Quitsaq’s eleven songs are sung entirely in Inuktitut. His style consists of Blues-Rock, at times he goes into Country and Western, and at others in a Progressive Rock style. 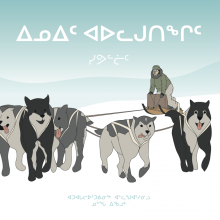 Tumassi’s voice is distinctive, showing he is having fun when pronouncing certain Inuktitut words, easily displayed with songs such as “Sikuliaqsiajuittuq’. The collection of songs in this album are well recorded and are destined to be a northern classic. Tumassi comes from Niaqungnguuq between Povungnituq and Akulivik, where he was born August 28, 1948. By 1976 his family moved to Akulivik where he is the father of 2 children. Like many of the people there, hunting and fishing was part of his life, while also putting work into carvings. When he was attending school in Moose Factory in 1976, he built a strong interest in music after seeing Billy Donson Band performing to which he started learning how to play guitar. Afterwards, Tumassi started writing songs and performed in various communities. While his popularity grew, he toured Nunavut, Nunavik, Ontario, and Quebec thus attracting attention from CBC in Montreal where his first recording was done with Boot Records, to then record his first C.D. with Inukshuk Records. He passed away in 2008.